CHOCOLATE MELTS IN HOT WEATHER! Please note our shipping policy: NO MATTER THE TIME OF YEAR, CHOCOLATES AND CANDIES CAN MELT EITHER AT YOUR DELIVERY ADDRESS OR ON THE DELIVERY ROUTE ACROSS THE COUNTRY IF THE TEMPERATURE IS ABOVE 75-80 DEGREES. Chocolates and candies can melt in hot weather, in a hot truck, or on a hot porch. CarbSmart can never be responsible for melted chocolates or candies in transit, and STRONGLY suggests using expedited shipping. PLEASE CONSIDER THE HEAT WHEN ORDERING. If your chocolates arrive melted, please put them in the refrigerator until they harden again. The taste of the bars will not be affected. Ross Chocolates No Sugar Added chocolate bars are pure guilt-free pleasure. These lusciously smooth Belgian chocolates have been a favorite of the low carb and diabetic community for years! Perfect for people with discerning tastes but want a healthy alternative to those high-sugar chocolates. Supreme (Milk Chocolate) Nutrition Facts: Serving Size 1 bar 1.2 oz. (34g), Calories 180, Fat Calories 110, Total Fat 12g, Sat. Fat 8g, Cholesterol 5mg, Sodium 20mg, Total Carbohydrates 18g*, Fiber 1g*, Sugars 3g, Maltitol 14g*, Protein 2g. *Net Carbs as listed by the manufacturer on the label = 3g. per bar. CHOCOLATE MELTS IN HOT WEATHER! Please note our shipping policy: NO MATTER THE TIME OF YEAR, CHOCOLATES AND CANDIES CAN MELT EITHER AT YOUR DELIVERY ADDRESS OR ALONG THE DELIVERY ROUTE ACROSS THE COUNTRY IF THE TEMPERATURE IS ABOVE 75-80 DEGREES. Chocolates and candies can melt in hot weather, in a hot truck, or on a hot porch. CarbSmart can never be responsible for melted chocolates or candies in transit, and STRONGLY suggests using expedited shipping. PLEASE CONSIDER THE HEAT WHEN ORDERING. If your chocolates arrive melted, please put them in the refrigerator until they harden again. The taste of the bars will not be affected. Ross Chocolates No Sugar Added chocolate bars are pure guilt-free pleasure. These lusciously smooth Belgian chocolates have been a favorite of the low carb and diabetic community for years! Perfect for people with discerning tastes but want a healthy alternative to those high-sugar chocolates. Milk Chocolate with Orange Nutrition Facts: Serving Size 1 bar 1.2 oz. (34g), Calories 180, Fat Calories 110, Total Fat 13g, Sat. Fat 8g, Cholesterol 5mg, Sodium 20mg, Total Carbohydrates 18g*, Fiber 1g*, Sugars 3g, Maltitol 14g*, Protein 2g. *Net Carbs as listed by the manufacturer on the label = 3g. per bar. For your low-carb lifestyle. 3g Impact Carbs. 20g Protein. Only 1g Sugar. Naturally & artificially flavored. Important Carbohydrates Information: 3g Impact Carbs – Total Carbohydrates 27g; Dietary Fiber 6g; Sugar 1g; Other Carbohydrates 20g. This bar delivers 3 gram of Impact Carbs. Impact Carbs, including Sugars and starches, are the carbohydrates that have a significant impact on blood glucose levels and should be monitored as part of your Low-Carb Lifestyle. Other Carbs, including glycerine, have minimal impact on blood sugar levels. Total Carbohydrates in the Nutrition Facts box includes Dietary Fiber, Impact Carbs and Other Carbs.
? Diabetic & Kid Approved! CHOCOLATE MELTS IN HOT WEATHER! Please note our shipping policy: NO MATTER THE TIME OF YEAR, CHOCOLATES AND CANDIES CAN MELT EITHER AT YOUR DELIVERY ADDRESS OR ALONG THE DELIVERY ROUTE ACROSS THE COUNTRY IF THE TEMPERATURE IS ABOVE 75-80 DEGREES. Chocolates and candies can melt in hot weather, in a hot truck, or on a hot porch. CarbSmart can never be responsible for melted chocolates or candies in transit, and STRONGLY suggests using expedited shipping. PLEASE CONSIDER THE HEAT WHEN ORDERING. If your chocolates arrive melted, please put them in the refrigerator until they harden again. The taste of the bars will not be affected. This is a full box of 12 No Sugar Added Dark Chocolate bars! This melt-in-your-mouth low carbohydrate dark chocolate bar has 0 grams of net impactible carbs per bar – and it tastes better than the real thing! This imported smooth Belgian dark chocolate is sweetened with maltitol, is diabetic and tooth friendly, dairy free, and has no sugar added. Ross Chocolates are perfect for people on the Dr. Atkins Diet or any low carbohydrate diet since maltitol has a negligible impact on blood sugar/insulin levels. Yes, you can still have chocolate and stay in ketosis! Nutrition Facts: Serving Size 1 bar 1.2 oz. (34g), Calories 180, Fat Calories 110, Total Fat 12g, Sat. Fat 8g, Cholesterol 0mg, Sodium 30mg, Total Carbohydrates 19g*, Fiber 3g*, Sugars 0g, Maltitol 14g*, Protein 2g. Ingredients: Cocoa Butter, Cocoa Mass, Natural Vanilla, Lecithin, Maltitol. *Net Carbs as listed by the manufacturer on the label = 2g. per bar. Eggs are fabulous, but eggs every day? Not so fabulous. So what else can you have for breakfast that’ll be sure to hit the spot, plus deliver excellent nutrition? Presenting a delicious and healthy way to begin your low carb day – Sensato High Fiber Hot Cereal! This scrumptious hot cereal gives you only 1 to 2 net carbs per serving, 10 grams of protein per serving, and 9 to 10 grams of fiber per serving. Would you believe that is 36% – 39% of your daily value of fiber – wow! Sugar-free and sweetened with Splenda, Sensato High Fiber Hot Cereal gives you the wonderful sweet taste of hot cereal, without those pesky carbs! And its made with the finest ingredients like wheat bran, flaxseed meal, and sea salt. Nutrition Facts: Serving Size 1/2 cup (40g), Servings Per Container 10, Total Calories 107, Calories From Fat 41, Total Fat 5g, Saturated Fat 0g, Trans Fat 0g, Cholesterol 0mg, Sodium 134mg, Potassium 490mg, Total Carbohydrates 12g*, Dietary Fiber 10g*, Sugars 0g, Sugar Alcohols 0g*, Protein 10g. Ingredients: Wheat bran, flax seed meal, soy protein isolate, spices (cinnamon), low glycemic monosaccharides, sucralose, sea salt, natural flavors. *Net Carbs as listed by the manufacturer on label = 2g per serving. Allergy alert: contains wheat and soy. Manufactured in a plant that processes milk, eggs, wheat, tree nuts and soybeans. This product may contain traces of nuts. Only 1 to 2 Net Carbs Per Serving! Do you love Southern cooking, but don’t love the typically high-fat ingredients? For you low carb lovers out there, this edition of the Slap Yo Momma Southern Cooking series will take you on a down-home journey to a smaller waistline. Isopure is an elite protein elixir. It contains 50 grams of 100% whey protein isolate, 1g of fat, no lactose and is glutamine enriched, with very low carbs. Sweetened with apartime free Sucralose™, the only zero calorie sweetener made from sugar. New Hope Mills Sugar Free Pancake & Waffle Mix (9 Ounces) – Formerly the Atkins 3 Carb Pancake & Waffle Mix! New Hope Mills is now the manufacturer of what used to be the Atkins 3 Carb Pancake and Waffle Mix! Same great product – new manufacturer and new packaging. Sugar Free, Diabetic-Friendly, No Sugar Alcohols, 3 grams net carbs per serving. When you are on the low-carb lifestyle, you have a choice. You can either learn to live without all those high-carb foods you used to love or you can try to find a tasty and delicious alternative that keeps you from feeling deprived. Can you REALLY live without pancakes forever? We don’t think so, which is why we are thrilled to be able to offer you the ability to whip up your own batch of hot and fresh pancakes or waffles with the New Hope Mills Sugar Free Pancake and Waffle Mix. This product is completely sugar-free and loaded with a whopping 13 grams of protein per serving! WOW! These pancakes also contain 3 grams of fiber and only 3g net carbs! Compare that to the 50-60 grams of carbohydrates in regular pancakes and you can see why we are excited about sharing the New Hope Mills Pancake and Waffle Mix with you. Even better, there are NO SUGAR ALCOHOLS in this product and only a tiny bit of Splenda to give it just a touch of sweetness. Just add water, oil, and eggs to this mix with easy-to-follow instructions for big and fluffy low-carb pancakes every single time! Nutritional Information (mix only): Serving Size: 1/4 cup dry mix (24 grams), Servings per package 10, Calories 80, Calories from fat 15, Total Fat 1.5g, Saturated Fat 1g, Cholesterol 5mg, Sodium 120mg, Total Carbs 6g*, Fiber 3g*, Sugars 0g, Protein 13g. * Net Carbs as listed by the manufacturer on the package = 3 grams per serving. 2 Comments on New Hope Mills Sugar Free Pancake & Waffle Mix (9 Ounces) – Formerly the Atkins 3 Carb Pancake & Waffle Mix! Created especially for the Café professional, Monin Sugar Free Dark Chocolate Sauce is made with the finest quality ingredients and natural flavors, designed to complement premium espresso. Sugar Free Dark Chocolate Sauce is the finest tasting sugar free chocolate sauce available and it is ideal for low-calorie and diabetic lifestyles. 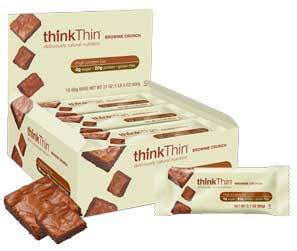 thinkThin Protein Bar is made from high quality protein with low sugar content. It had high fiber content and its gluten free. Packed with peanuts butter and covered in rich delicious chocolate. thinkThin Protein Bar, Chunky Peanut Butter. This high protein bar packs the nutty flavors of chunky roasted peanut butter blended with cocoa and covered in luscious milk chocolate. With 0g sugar and no gluten, it’s a guilt-free treat you can feel good about. 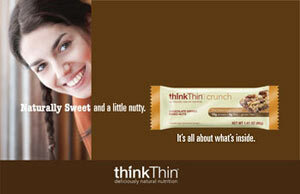 thinkThin® delivers deliciously natural nutrition for active people who care about what they eat. thinkThin® has created a whole new way to think about nutrition through an uncompromised focus on natural ingredients to support overall health and weight wellness for people on the go. thinkThin® supports a broad premise of weight wellness – the optimal weight range where people feel at their most healthy and joyful. Weight wellness is the positive emotional outcome of living a healthy, balanced life with a strong belief in good energy, long life and warm laughter. 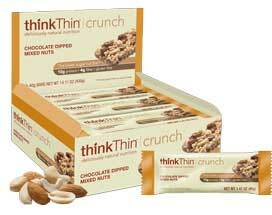 thinkThin® is the number one ranked weight management bar in America(SPINSscan research). The mission of thinkThin is to positively impact the lives and wellness of others and to lead in changing the endemic destruction of weight and poor nutrition related diseases in our country. We seek to share the joy of good food (in all formats) and provide portable nutrition as a solution for a healthy lifestyle. thinkThin® is a healthy solution for your busy day. Whatever else the day holds in store, a thinkThin® bar will provide energy without the punishing side effects of sugar and gluten.thinkThin® protein bars can be enjoyed at breakfast before exercise to give you energy for the day. A thinkThin® bite makes a great mid-morning snack and a thinkThin® crunch bar is perfect as amid-afternoon treat on the way to soccer practice. All thinkThin® products are wrapped and ready to go with you wherever the day may take you, whether it’s the office, the car, the gym, the mountains or onto the couch with a good book. thinkThin® high protein snack bars with 0g sugar and20g protein come in 12 rich delicious flavors. Great tasting food that brings good energy and a quality of life and weight wellness through nutrition that allows you to live a vibrant active life on your terms. 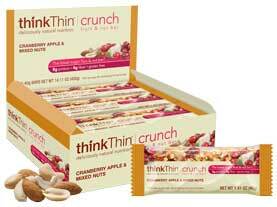 thinkThin® Crunch is a major breakthrough in the healthy nut bar category. All four flavors have 60% less sugar and 2x the amount of protein than other leading fruit and nut bar making this delicious, crunchy, chewy bar a completely irresistible healthy snack for the foodie on the go. Loved by everyone, throughout the day. thinkThin® Crunch Fruit and Nut with 60% less sugar and 2x the amount of protein than other leading fruit and nut bars, also has the addition of some of nature’s richest super fruits. All three flavors of low sugar, sweet, tart and nutty bars are a delicious nutritious snack for any time of day. They are dairy free, vegan and provide a good source of fiber. The most difficult question is which one to pick. 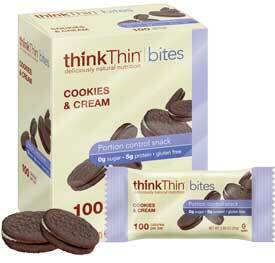 thinkThin® Bites, in four flavors, our 100 calorie, no sugar, high protein, perfect-sized healthy snack is conveniently packaged five bars to a box. A delicious, nutritious little treat that is as much about the perfect experience as it is about weight management. That’s what the people at thinkThin® call weight wellness! Microprocessor controlled for even baking, special dispenser for addition of nuts or fruits, 5 baking modes basic/bake/French/pizza/pasta, 2 loaf sizes (M or XL), diamond fluorine non-stick coated pan, large LCD readout, 13-hour preset timer, white. All Purpose lifting gloves are made of genuine split-leather in the palm and fingertips with a nylon back. The palm has contoured palm padding for comfort and enhanced grip. Hook and loop closure tab. Friskies cat food classic pate, special diet, 5.5-ounce cans (pack of 24) has the tempting flavor of ocean whitefish, plus a smooth, pleasing texture brings mealtime excitement every day while helping your cat maintain urinary tract health. Invented by Dr. Francine Kaufman, past president of the American Diabetes Association, ExtendBars will satisfy your deepest cravings! But don’t let the great taste fool you. Just like all ExtendSnacks, ExtendBars are clinically proven to help control blood sugar for up to 9 hours and help avoid annoying blood sugar swings. ExtendBar is a Diabetic Friendly snack bar that helps avoid blood sugar lows and highs.One bar between meals can help you eat up to 21% less calories at your next meal. ExtendBars, holder of 17 world-wide patents, are the only snacks clinically proven to help stabilize blood sugar for up to 9 hours, providing the benefits of glucose and hunger control, and long-lasting energy. The ExtendSnacks line of products include ExtendBars, ExtendCrisps ExtendDrizzles, and ExtendShakes. ExtendBars help stabilize blood sugar for up to 9 hours – longer than any other snack on the market today. By doing so, ExtendBars help to naturally control hunger, minimize diabetes symptoms, prevent low blood sugar and provide a continuous source of energy for even the most strenuous activities. Get all the facts about your food! Trusted by professional registered dietitians and now available to home users, the Low Carb Food Label Analyzer makes it easy for you to learn the nutritional value of the foods you buy! Have you ever wondered what some of those strange ingredients are? The Food Label Analyzer will quickly and easily decipher both the ingredients list and the “Nutrition Facts” label, so you can choose the food that’s best for you. An extensive database even allows you to analyze foods without labels. Calculate the percentage of calories from fat versus protein versus carbohydrates. Personalize Recommended Daily Allowance percentages based on your body. Plus, learn about the government definitions of many food terms, including “lean” and “fat free.” Did you know “fat free” does not necessarily mean that the food contains no fat? Trusted and used by registered dietitians – Get all the facts about your food! George lost weight with Stella Style: “eating fresh foods, using low-carb ingredients to reinvent your old favorites, developing better eating habits, and, most of all — eating food you love!” And he wasn’t the only one: The entire Stella family shed more than 560 pounds. In Livin’ Low Carb, George has brought together more than 125 of the Stella family’s favorite recipes. For breakfast there are Blueberry Pancakes or George’s Gorgeous Macadamia Banana Muffins. For lunch or dinner try Low-Carb Pizza, Tequila Chicken Quesadillas, Spaghetti Squash Alfredo, Lasagna, Anaheim Shrimp Scampi, and Southern Fried Chicken. And don’t forget soups, salads, and vegetables! You’ll find recipes here for Key West Caesar Salad, Turkey Vegetable Soup, and Garlic Mock Mashed Potatoes. If it’s sweets you crave, try Chocolate Pecan Brownies or New York Ricotta Cheesecake. There are also party recipes (Nutty Muddy Trail Mix, Teriyaki Sesame Tuna Skewers), tasty drink concoctions (Strawberry Milkshakes, Lemon-Lime Slushees), and a wide array of condiments and dressings (including Quick and Easy Ketchup and Thousand Island Dressing). These recipes feature easy-to-find, low-carb ingredients that will fit any budget. More than just a cookbook, Livin’ Low Carb is a practical guide to a sustainable low-carb lifestyle.George Stella’s Livin’ Low Carb has little in common with diet books: In fact, it’s got more in common with a cookbook you might have bought for yourself when you first moved out on your own. The style is casual and approachable, with no tense lists of diet-related details or overly-complex recipes, and cooking techniques require little more than a working stove and a frying pan. George Stella (along with pastry chef-wife Rachel) have developed a wide range of recipes designed to compliment Atkins and other low-carb diet regimens. Rather than relying on packaged convenience foods that meet these dietary standards, they focus on home-cooked meals that satisfy the demands of low carb life without tasting like they were baked up in a factory. Flavors include Chinese (Szechuan stir-fry), Italian-American (clams casino), Southern (fried chicken), and American sweets (chocolate chip muffins and no-bake Key lime cheesecake). Snacks, salads, entrees, and desserts all see equal amounts of attention. There’s a heavy reliance on the sugar substitute Splenda, but in general this is real food for daily life. The condiment chapter contains homemade versions of ketchup, mustard sauce, barbecue sauce and even Thousand Island dressing, and makes a simple place to get started even if the only kitchen appliance you’re comfortable with is a can opener. Each recipe clearly notes “special equipment” (like 8-inch square pans) as well as the yield, net carbs per serving, and separate times needed for prepping and cooking. CHOCOLATE MELTS IN HOT WEATHER! Please note our shipping policy: NO MATTER THE TIME OF YEAR, CHOCOLATES AND CANDIES CAN MELT EITHER AT YOUR DELIVERY ADDRESS OR ON THE DELIVERY ROUTE ACROSS THE COUNTRY IF THE TEMPERATURE IS ABOVE 75-80 DEGREES. Chocolates and candies can melt in hot weather, in a hot truck, or on a hot porch. CarbSmart can never be responsible for melted chocolates or candies in transit, and STRONGLY suggests using expedited shipping. PLEASE CONSIDER THE HEAT WHEN ORDERING. If your chocolates arrive melted, please put them in the refrigerator until they harden again. The taste of the bars will not be affected. Ross Chocolates No Sugar Added chocolate bars are pure guilt-free pleasure. These lusciously smooth Belgian chocolates have been a favorite of the low carb and diabetic community for years! Perfect for people with discerning tastes but want a healthy alternative to those high-sugar chocolates. Almond Nutrition Facts: Serving Size 1 bar 1.2 oz. (34g), Calories 180, Fat Calories 110, Total Fat 13g, Sat. Fat 7g, Trans fat 1g, Cholesterol 5mg, Sodium 20mg, Total Carbohydrates 18g*, Fiber 1g*, Sugars 3g, Maltitol 13g*, Protein 3g. *Net Carbs as listed by the manufacturer on the label = 4g. per bar. NOW Foods Hyaluronic Acid Firming Serum – 1 oz. (30 mL)Now Foods Hyaluronic Acid Serum Anti-Aging Formula is an ultra-concentrated hyaluronic acid gel that was developed to increase the skin’s natural elastin levels while reducing the appearance of wrinkles and fine lines. Now Foods Hyaluronic Acid is one of the most sought after anti-aging compounds in the industry. Now Foods Hyaluronic Acid Serum Anti-Aging Formula is completely safe, very effective and capable of absorbing great amounts of water – an essential element in supporting the elasticity and youthful appearance of skin. Now Foods Hyaluronic Acid Serum Anti-Aging Formula can also be used in combination with other quality NOW Personal Care anti-aging products, as well as our 50 mg HA Capsules. Anti-Aging Formula Smooth & Nourish Paraben and Gluten Free Mature SkinWhat is Hyaluronic Acid (HA)?HA is a high molecular weight polysaccharide composed of alternating molecules of N-acetyl glucosamine and D-glucuronic acid. It is a member of the glycosaminoglycan family that is found within collagen throughout the body. Unlike other types of connective tissue, HA is not linked to other proteins or sulfur. As the most important space-filling substance in the human body, HA holds more water than any other molecule in the body and is necessary to keep collagen hydrated and tissues youthful.As the most important space filling substance in the human body HA holds more water than any other molecule in the body and is necessary to keep collagen hydrated and youthful.What does HA do in the body?HA supports the structure of connective tissue by acting as a water magnet to maintain extra-cellular fluidity. HA forms a viscous fluid with exceptional lubricating properties necessary for the vital functions of many parts of the human body including the skin, heart valves, aqueous/vitreous portion of the eye and synovial fluid (joint cushion and lubricant). The skin contains over 50% of the body’s HA. Indulge in the richness of an Atkins Endulge chocolate treat and enjoy the satisfaction without sacrificing taste or nutrition. Crunchy protein chips with parmesan and spice flavorings. Two Cans Yields Sixty 16oz. Drinks. Only 2 grams Net Carbs per 16oz. Drink. No Sugar Added. 90 Calories per drink. Introducing Rault Foods new Smackaroos Diet Treats. Smackaroos Diet Treats were formerly known as Cheeters Diet Treats. Rault Foods was the original developer of the Cheeters crackers and they took them back over when Cheeters went out of business early in 2005. Who says you can’t have a crunchy, salty cracker when you are on low-carb? With Smackaroos Diet Treats (formerly known as Cheeters Diet Treats), you get the crispy crunch and freshly baked taste that you love without the unnecessary carbs. Roasted & sea salted snack pack. No MSG. No sugar. A gift from the ancient sea. Eat traditional style with rice ball and spice. Or snack on like potato chips! Use in salads. Add to soup. Try as a pizza topping! Product of Korea. 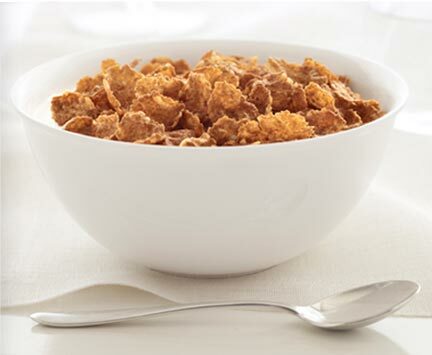 Kellogg’s Special K Protein Plus lightly sweetened wheat, soy and rice flakes has 100 Calories per serving. 3g fat. 9g net carbs (for those controlling their carb intake, net carbs = total carbohydrate minus dietary fiber per serving), good source of protein for a low carb lifestyle. To boost stamina and focus throughout a challenging schedule, Special K Protein Plus cereal front-loads nutrition for the day with a generous dose of protein in a tasty, low-carb recipe. An extension of the classic Special K line, Protein Plus features the well-loved crunch and light sweetness of the original cereal, with the added benefits of 10 grams of protein and a mere 3 grams of fat per serving. A blend of wheat, soy, and rice flakes, the cereal delivers 5 grams of fiber per bowl and 45 percent of the recommended daily iron intake. Powerful fuel for the morning, Protein Plus also makes a yummy addition to fresh fruit or yogurt for a mid-day snack. In addition to being tasty and convenient, Special K cereals are specially formulated to help you reach and maintain a healthy weight. Substantial helpings of fiber in each bite create a longer-lasting feeling of fullness and satisfaction. Fiber is also essential to overall dietary well-being and as part of daily intake offers numerous benefits. Fiber keeps the digestive system clean and functional. Fiber lowers the risk of diabetes and heart disease. Fiber helps regulate blood sugar levels. Research has shown that many adults and children do not get enough fiber in their diets. Special K makes sure you are on your way to getting yours. For Special K lovers who are aiming to trim down, Kellogg’s has created the Special K Challenge, a fun and easily managed online program found at specialk.com. Designed to help users set and achieve weight loss goals, the program includes practical suggestions, menu tips, mobile apps, recipes, and online community features. Founded by W. K. Kellogg in Battle Creek, Michigan, in 1906, the Kellogg Company is dedicated to making good nutrition easy and appealing for active professionals and busy families. Its Special K line now includes a delicious variety of cereals, breakfast bars, snack crackers, and beverages. Nutritional Information Calories: 135 Fat: 2g Carbs: 13.7g Fiber: 7.5g Sugar: 0g Sugar Alcohol: .5g Net Carbs 5.7 Protein: 1g Sodium: 180mg Ingredients: almond flour, soy flour, bran flour, whole wheat bran flour, oat flour, sesame flour, unbleached flour, vital flour wheat, wheat germ, salt, anise seeds, maltisweet, cream of tartar, egg whites, soybean oil, dry yeast, soy protein, water, fiber gum 6 LARGE BAGELS PER BAG. Enjoy all the baked foods you love, even when you’re living low-carb. With Atkins All Purpose Baking Mix, you can bake delicious breads, muffins, pancakes, biscuits and even cookies. Flour (soy/almond/hazelnut/gluten), water, soybean oil, cinnamon powder, xanthan gum, baking powder 9sodium acid pyrophosphate, sodium bicarbonate, corn starch, calcium phosphate), salt, sucralose.